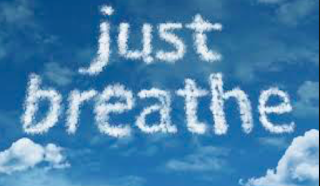 Deep breathing exercises are often cited as an easy way to reduce stress and keep you focused. Although breathing may seem like the simplest thing in the world, chances are you’re actually doing it wrong. As you grew into adulthood, you likely picked up the bad habit of breathing using your chest and shoulders rather than your diaphragm. The reasons for this change aren’t entirely certain, although the Harvard Medical School suggests that body image is partially to blame. Breathing with your diaphragm expands your stomach, so proper breathing may be discouraged by the fact that flat stomachs are considered more attractive in our culture. Regardless of how it happens, most of us end up breathing poorly, which reduces concentration and decreases productivity. However, this problem can be fixed by simply taking a little time out of your day to relax and take a few deep breaths. Practicing deep breathing exercises has been proven to reduce your heart rate and blood pressure, while making you feel more alert and invigorated. This can greatly increase your productivity by staving off burnout and improving your ability to stay focused on the task at hand. Proper deep breathing can be difficult to learn on your own. Fortunately, there’s a way to carry your own personal breathing guide with you wherever you go. These six deep-breathing apps guide you through breathing exercises to help keep you alert, focused and productive. ANIL's Note: I tried all and personally I strongly advice you to try 1 and 6. However, Spire is the best- which is not in the list- a breathing and mindfulness tracker, great technology and fun to use. Available on both iOS and Android, this app was developed by the National Institute for Telehealth and Technology, an organization within the U.S. Department of Defense. In addition to guiding you through scientifically sound breathing exercises, Breathe2Relax includes a graphing function that can help you determine what’s causing you the most stress. One of the more fully featured breathing apps available, Universal Breathing uses music and animation to help guide you through several levels of deep breathing exercises, starting from a beginner level and slowly ramping up the difficulty. The app is available on both iOS and Android. This one is only for Android, but includes some unique features that set it apart from the rest. In addition to visual and audio cues, Paced Breathing can also use vibration to help guide you through the exercises. It includes a few sound choices, and you’ll want to use your headphones for the binaural beat option. Available on iOS and Android, this app focuses on using music cues as a way to control your breathing. By using distinct tones for each phase of the exercise, it can keep you on track while remaining unobtrusive. If you follow the structured course sessions, they should help you steadily slow your breathing rate. Prana Breath doesn’t have some of the bells and whistles of the other apps, but it does offer a wide variety of customization options. You can choose from seven different breathing exercises or even create your own. You can also set a schedule with different types of exercises and have the app automatically remind you when the time comes. Prana Breath includes a detailed help guide for those new to deep breathing exercises, and keeps detailed information about your usage to help track your progress. Download it from the Google Play Store. This app’s signature feature is the ability to analyze how you normally breathe in order to suggest the best routine for you. It includes the option of a male or female voice to guide you through the exercises, as well as an array of sounds and images to choose from. There’s a vibration mode if you prefer a silent breathing guide. Breathing Zone is available on both iOS and Android. Whichever app you choose, it’s best to maintain a regular schedule of deep breathing exercises to maintain that level of focus and clarity. In time, you may even be able to reverse your bad breathing habits. Being over-stressed is never a good thing, and can have a severe effect on your daily productivity. Fortunately, the solution is simple: Just take a deep breath.